Mirroring the stateliness of early American history, the Marquis Collection has proven to be the majestic leader within traditional office environments. Offered in an impeccable English Cherry finish on cherry veneers with solid wood pilasters, bases, and shaped mouldings; Plated Brass finished pulls; and desks with both felt-lined center and top drawers, this collection emphasizes refined, traditional styling and unmatched luxury. Buffet Storage and Presentation Board options include screen panel doors. Available with either an inlaid cherry veneer top bordered by walnut banding that is finished with a durable Ultra-Violet topcoat to prevent stains, mars, and scratches or a straight-grain, High Pressure Laminate Top, this collection is sure to please for many years to come. Tops are constructed of wood and veneer materials or HPL tops. Veneer tops decorative inlaid cherry veneers bordered by a walnut banding. All veneer top surfaces feature a durable UV finish resistant to stains, mars and scratches. HPL tops are straight grained. Image Above shows 16' Marquis Table with Optional ACT Power / Data Modules in the surface. Base component are designed with a cable opening at the top and vertical channel within the base to guide cables out through bottom of the base. 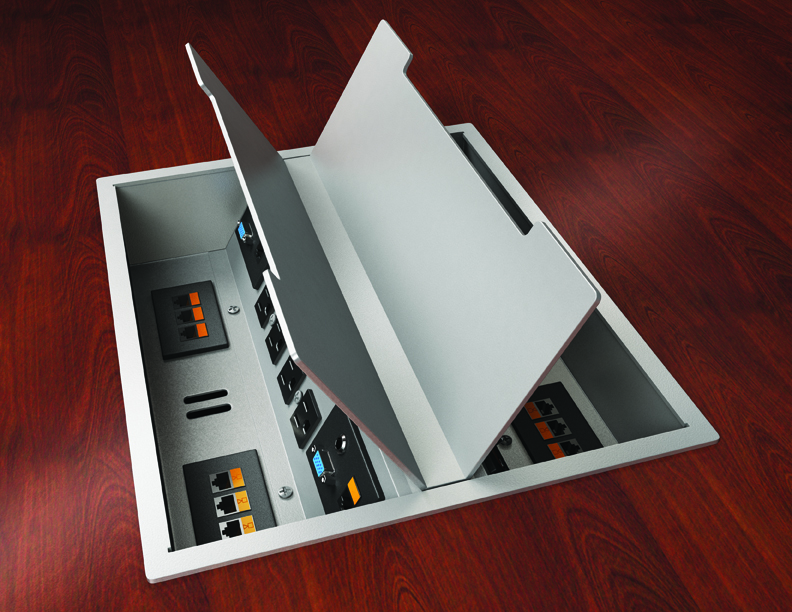 The cable opening with the top components is positioned and sized to facilitate the installation of optional data ports/power centers. The tradition of innovation in desktop power and data solutions continues. 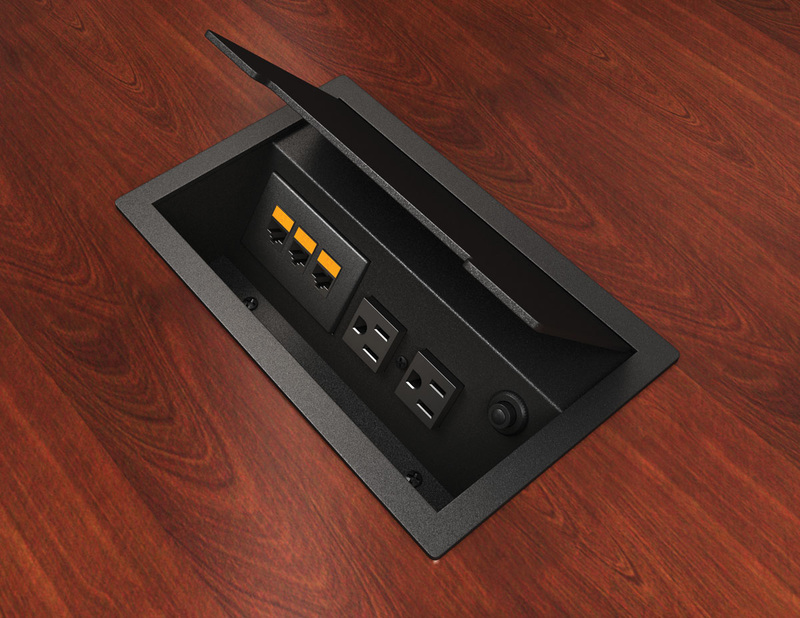 The elegant design makes these units ideal for Home, Healthcare, and Hospitality environments. 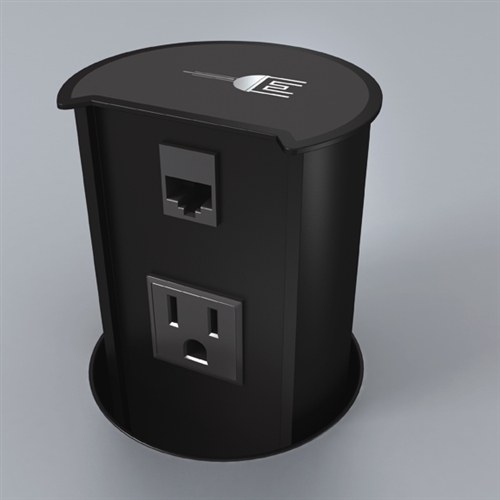 The ACT AirCharge is the newest edition to our Tabletop family of power and data units. It has 1.5 AMP, 5V Input. 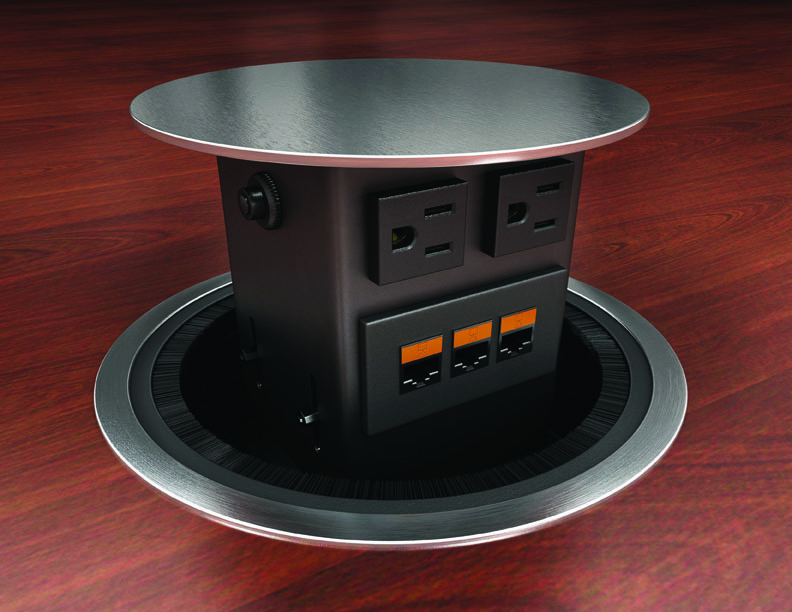 The ACT AirCharge is the newest edition to our Tabletop family of power and data units. It has 1.5 AMP, 5V Input. We can arrange for the factory to pre-cut a hole in the table surface to fit a wide range of advance power / data modules. Each custom factory cut in a table surface section requires an FACTORY CUT UP-CHARGE. Once the table is cut at the factory no refunds will be available for the cost of the table and up charge. Click the images below to view the details of each of our modules. 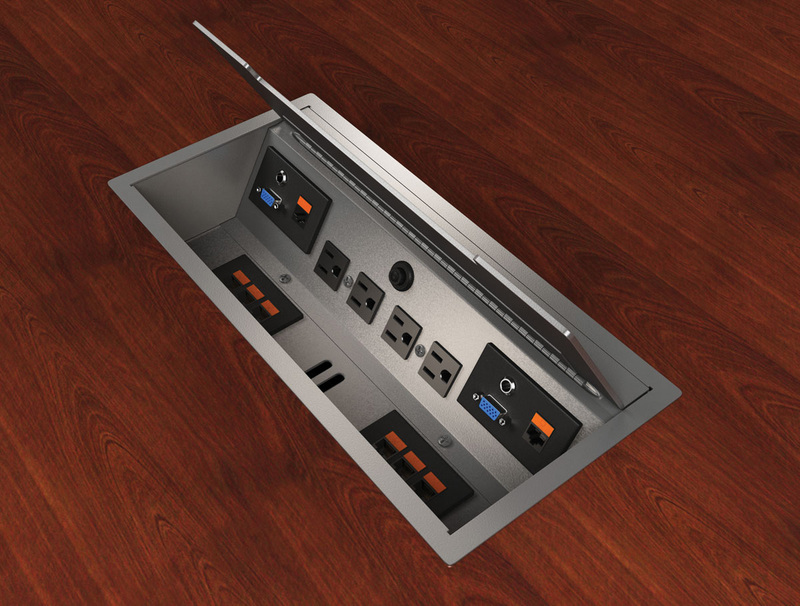 You can customize each of the open advanced technology plates with HDMI, VGA, DVI, XLR, Stereo Audio, Phone, Data, and USB connectivity.